Skin is our largest organ and it acts in many different ways on the body including the ability to absorb light. When the skin absorbs the light at specific wavelengths in can be used to stimulate a healing response. LED light therapy is a safe and effective treatment that causes a natural reaction and likened to the photosynthesis of a plant, triggering the body to convert light energy to cell energy. 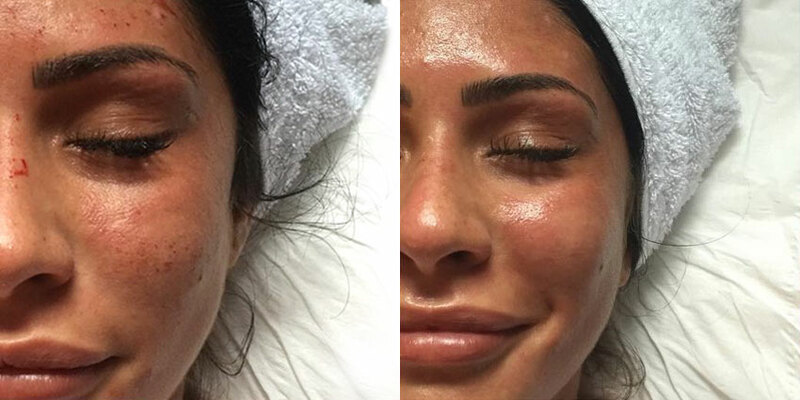 The treatments are quick and painless with no downtime. Renew’s Opera LED mask also optionally delivers a galvanic current during exposure through the medium of a special hydrogel mask. Treatment duration can vary from 15 to 40 minutes. What is an LED Face Mask? A LED Face Mask is a specially designed face mask that delivers colour light therapy as an anti-ageing, acne reducing skin treatment. What can an Opera LED Face Mask treatment do for me? Who is the LED light therapy suitable for? Colour light therapy is ideal for men and women who are experiencing signs of ageing due to collagen and elastin breakdown and slower cellular renewal that comes with age. 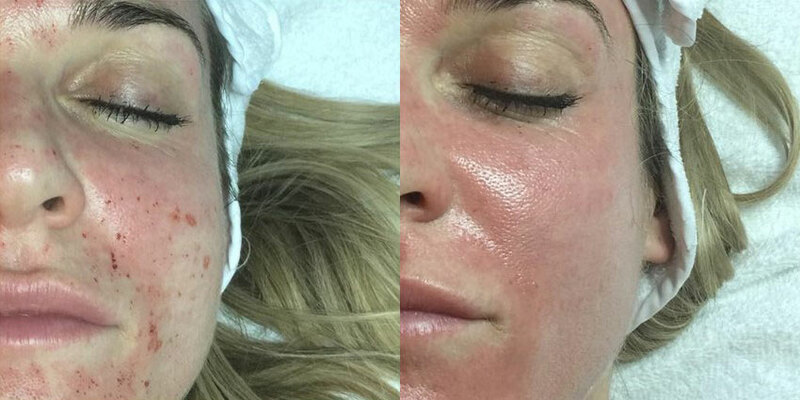 LED light therapy treatment is also great for treating adult acne. Many young adults also incorporate LED light therapy into their skincare routine to obtain a radiant glow and prevent premature ageing. How Does a LED Face Mask Work? 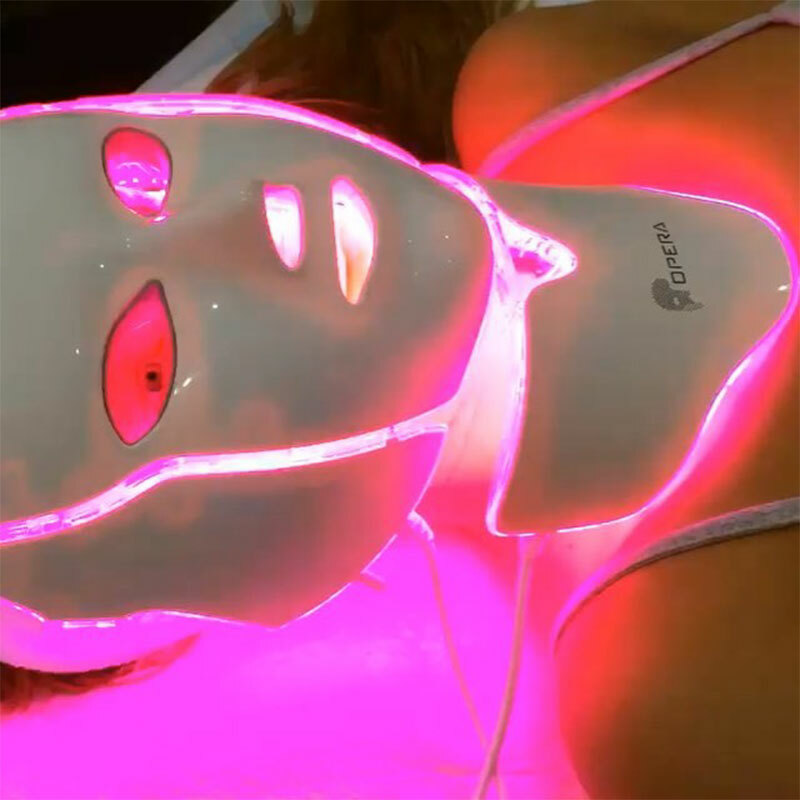 The LED Face Mask emits special wavelengths of light, which can include blue light wavelengths, red light wavelengths, and near-infrared light wavelengths that penetrate the skin. These specially calibrated lights can stimulate the skin’s production of collagen, get rid of acne-causing bacteria and rejuvenate the skin’s healing process. How can a LED Face Mask Get Rid of Acne? 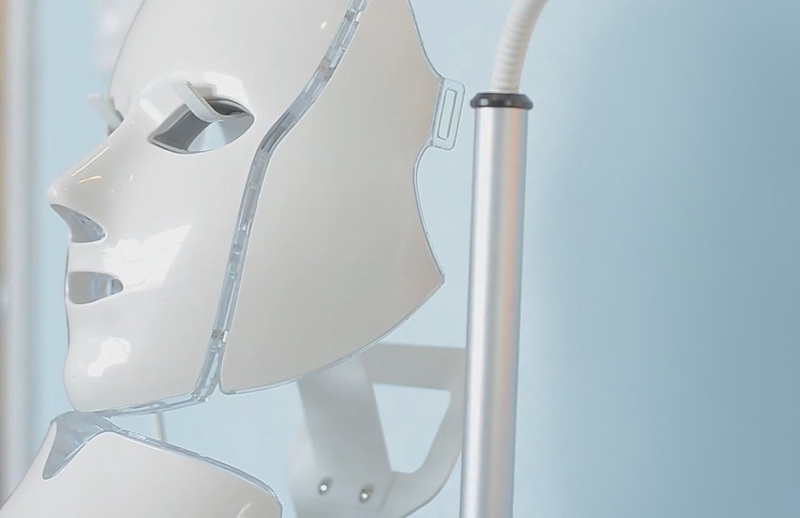 LED Face Masks use different wavelengths of light to treat specific skin maladies. With colour light therapy, blue wavelengths are used to kill the inflammation causing bacteria that leads to acne, known as Propionibacterium acnes. The blue light works in collaboration with infrared light that is also emitted during a skin treatment with an LED Mask. Infrared light emits gentle heat, which causes the oil glands in your skin to shrink. By eliminating acne-causing bacteria and making the skin less oily, a LED Face Mask distinguishes itself to be a very effective treatment for getting rid of acne. What other Benefits does Blue Light Provide? How much does LED Light Therapy treatment cost? Renew’s LED Light Therapy treatment prices are based upon treatment duration.